Virtual assistants are on our phones, on our wrists, and in our homes. Some of the most popular ones are Google Assistant, Apple's Siri, and Amazon's Alexa. While Google Assistant and Siri have permanent, default spots on Android and iOS devices respectively, Alexa doesn't have the same privilege. In order to push it to a wide audience, Amazon has put it on a range of smart home devices. 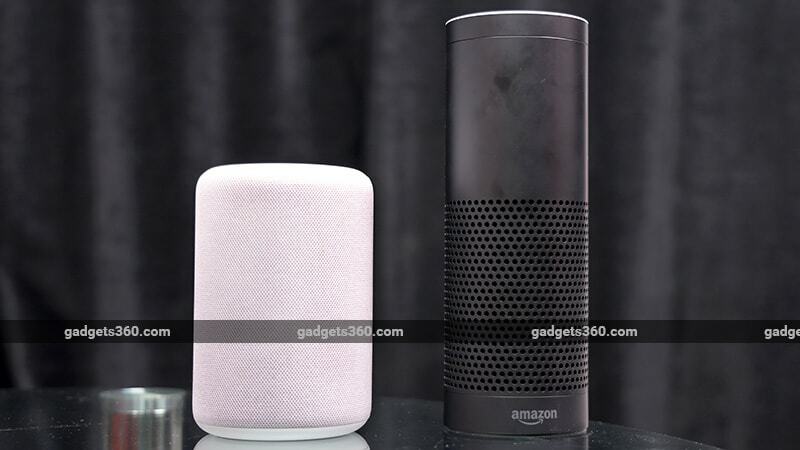 The newest models to hit the Indian market are the Amazon Echo Dot (3rd generation) and Echo Plus (2nd generation). Amazon has priced the new Echo Dot and the Echo Plus at Rs. 4,499 and Rs. 14,999 respectively, which were also the prices of the models they have replaced. The improvements don't come at any additional cost, so should you jump to pick these up? We test them both to answer your questions. The new Echo devices have gone through a design makeover, and now sport fabric finishes. Let's talk about the new Echo Dot first. The device is a little bigger than the outgoing Echo Dot, and heavier as well, weighing in at 300g (the 2nd Gen Echo Dot was only 163g). The new fabric finish looks premium compared to the glossy plastic of the older model, and will help the device blend in better in your home. The button layout on the Echo Dot remains the same. It has four buttons: two for volume control, the action button to summon Alexa, and a button to switch the microphones off. It still retains the light ring which gives you visual cues. It lights up when you say “Alexa” to tell you that it's listening for your instructions. The light ring is visible from any corner of a room, and is a better implementation than the four lights on the Google Home Mini. While the previous-gen Echo Dot had a 7-microphone array, the newer model has four far-field microphones positioned on the top. At the back of the new Echo Dot you'll find a 3.5mm audio output and a proprietary power port (the outgoing Echo Dot had a Micro-USB port). You get three fabric finishes to choose from: Charcoal, Heather Gray, and Sandstone. While the Echo Dot has grown bigger in size, Amazon has shrunk the Echo Plus. It still has the cylindrical design but is shorter and wider than the model it replaces. Just like the new Echo Dot, the new Echo Plus has a fabric finish and is available in Heather, Charcoal Gray, and Sandstone. We had the sandstone variant for review. The new device is also lighter at 821g compared to the 954g of the older model. Amazon has made a few changes to the button layout and the new Echo Plus now features the same four-button layout as the Echo Dot. There are seven far-field microphones on the top, which are capable of picking up and recognising your voice even with music playing on the speaker. The original Echo Plus had a rotating dial for controlling the volume, and this is now gone, since you use buttons instead. This isn't as convenient as being able to quickly flick the dial, but it gets the job done. The speakers have also been updated, and you get a bigger 3-inch woofer and a 0.8-inch tweeter. At the back, you'll find a proprietary power connecter and a 3.5mm audio output. We first tested the new Amazon Echo Dot and compared it with the outgoing model to see how much it has improved. The difference in audio quality is significant. It is louder and warmer compared to the older unit. While the old model couldn't fill a small room, the new one is capable of doing just that. The overall audio quality is still not great, though. At higher volumes, it is hard to distinguish between multiple vocals or instruments. You can also use the Echo Dot as a Bluetooth speaker by pairing it with a laptop or a smartphone, or use Bluetooth to pair the Echo Dot with another speaker for improved audio quality. Also, since it has a 3.5mm output, you can essentially upgrade any existing speaker with smart voice controls and music streaming by connecting it with the Echo Dot. 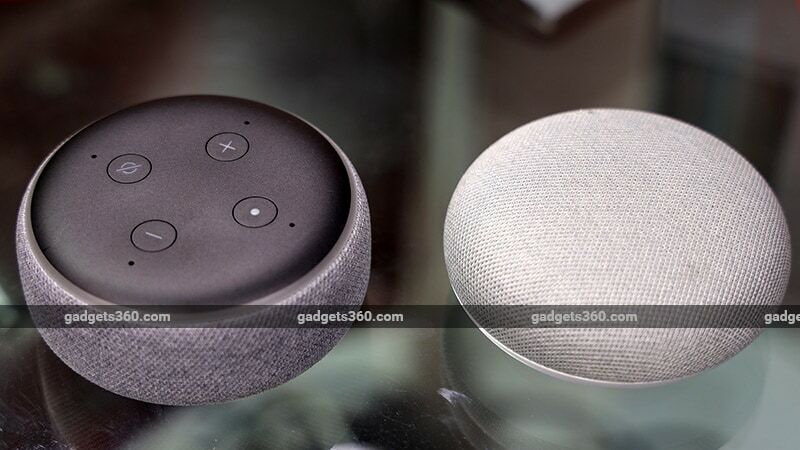 We also tested the new Echo Dot against a Google Home Mini and found Amazon's offering to have better audio output. Audio quality with the new Echo Plus is also improved. Amazon has used Dolby Audio for this Echo device, and it is capable of producing a good surround effect. When we compared it to the original Echo Plus, we found it to have more bass, which is down to the larger woofer. Audio is crisp and the volume can be pumped up quite far without distortion. While the audio quality is better than with the previous model, we still didn't feel the kind of punch we would have liked for lower frequencies. You can also pair the Echo Plus to any audio source using Bluetooth. Like its predecessor, the 2nd Gen Echo Plus has a ZigBee-compatible smart hub built in, which can help you connect to and control ZigBee-enabled lights, power outlets, appliances, and other devices with Alexa voice commands. There's also an inbuilt temperature sensor, so you can check the temperature of a room just by asking Alexa. Using Alexa on the new Echo Dot and the Echo Plus is similar to how it works on every other Amazon Echo or third-party device. You can ask it to play songs, set an alarm, answer questions by searching the Web, and much more. It also has the ability to call people other people who use Echo devices or the Amazon Alexa app. You can now control an Amazon Fire TV Stick using these Echo devices as well. Skills are an integral part of the Alexa ecosystem, and hundreds of them exist for popular devices, apps and services. You can enable more skills at any time using the Alexa app. 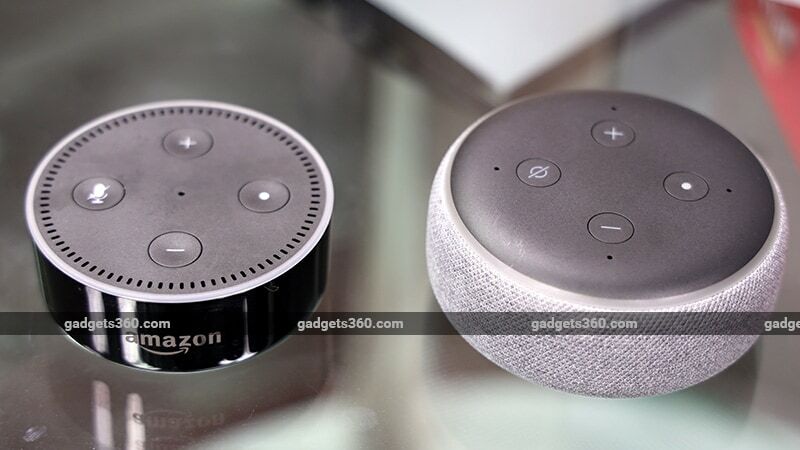 We have covered Alexa in detail in our reviews of the Alexa-enabled Harman Kardon Allure and Amazon Echo Spot speakers, so we encourage you to read more about the "smart" features of these speakers, which are at the core of their functionality. Alexa vs Google Assistant vs Siri: Which Is the Smartest Virtual Assistant? The new Amazon Echo Dot is a good way of starting off with a smart speaker for your home. Since Amazon has launched the new Echo Dot and Echo Plus at the same prices as their respective predecessors, it would make sense to go for these. We found that the new Echo Plus is more attractive and sounds better than the device it replaces. It also has additional smart features built in. It's much more expensive, but offers decent value for the price considering the functionality. product 2018 Echo Dot 3rd generation and Echo Plus 2nd generation speakers are here, but are they better than the competition? Read our review to find out.